Physicist Rebecca Thompson weighs in on all your burning science questions forGoT. 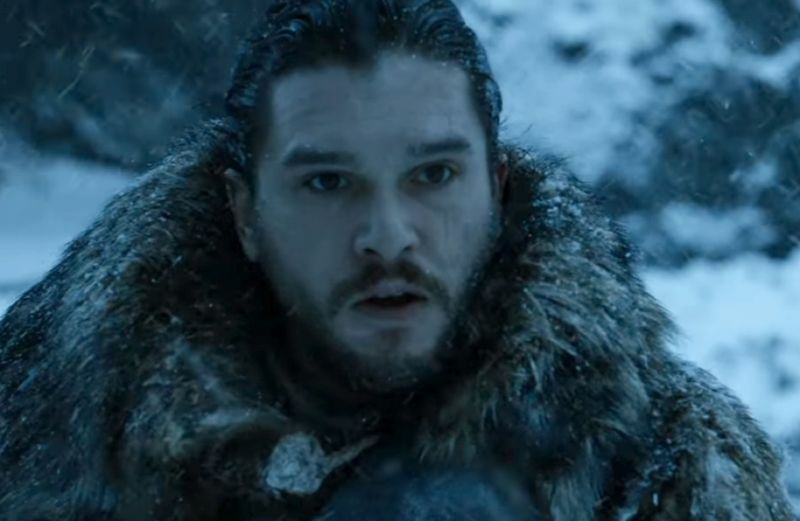 You know nothing, Jon Snow—like, maybe wear a hat when conditions are freezing in the North. Even if it musses up your luscious locks. Warning:This story contains some mild spoilers from the first seven seasons ofGame of Thrones. The world ofGame of Thronesmay be fictional, but that doesn’t stop its fans from heatedly arguing about all the possible underlying science, because nerd-gassing about one’s favorite science fiction is a time-honored tradition. Just how hot is dragon’s breath? Is there a real-world equivalent of wildfire? What’s the best and worst way to die? And how fast would Gendry have to run back to the wall to send a raven to King’s Landing requesting help? These and other scintillating topics are discussed in a forthcoming book by physicist (anduber-fan) Rebecca Thompson,Fire, Ice, and Physics: The Science of Game of Thrones. The book comes out in October from MIT Press, but as we gear up for the premiere of the final season Sunday night, Thompson graciously gave us a sneak preview into some of the burning science questions she investigated. After completing her PhD, Thompson spent several years doing physics outreach for the American Physical Society, and she authors the society’s popularSpectra educational comic book series. (Attendees of San Diego Comic-Con have likely seen her in costume as Spectra on the exhibit floor.) This is her first popular science book, inspired by a talk she gave to physics teachers a few years ago on the physics of dragon fire and ice walls inGame of Thrones. Scouring the many fan sites on which such things are debated at length, she found far more interesting science questions than what could fit into a single talk—it turned into a book’s worth of science, in fact. Fire, Ice, and Physicscovers everything from the physics of dragon fire and Valyrian steel, to the best and worst ways to die. Thompson even ponders why Jon Snow never wears a hat in freezing conditions beyond the wall—the obvious answer is that it would mess up his hair, and the author admits to being a fan of said hair. “But wearing a hat is more important than just having thick luscious hair,” she said. That’s because the head doesn’t have much fat to insulate the body against the cold. Also, a hat would keep warm air trapped close to the head, whereas the wind would blow through Jon’s unruly locks and dissipate said heat. Still, it’s not any worse than not wearing gloves, per Thompson; it’s a myth that the body loses most of its heat through the head. 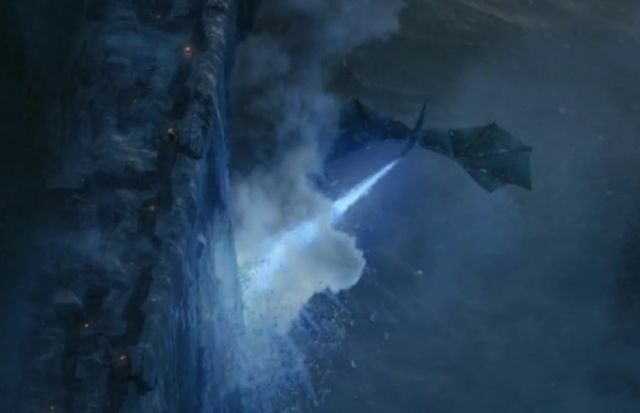 Viserion likely breathed hot blue fire. Even that might not be enough to bring down the wall. While fire-breathing dragons are entirely fictional, it’s still possible to analyze its properties from a scientific perspective. Dragon fire is white-hot, certainly hot enough to melt iron and steel to forge the Iron Throne. It would also be able to melt granite, which is why Harrenhal has “that melted candle look,” according to Thompson. The bigger the dragon, the hotter the flame it produces. Drogon, the biggest of Daenerys’ three dragons, would spew fire more than capable of melting the Red Keep at King’s Landing. 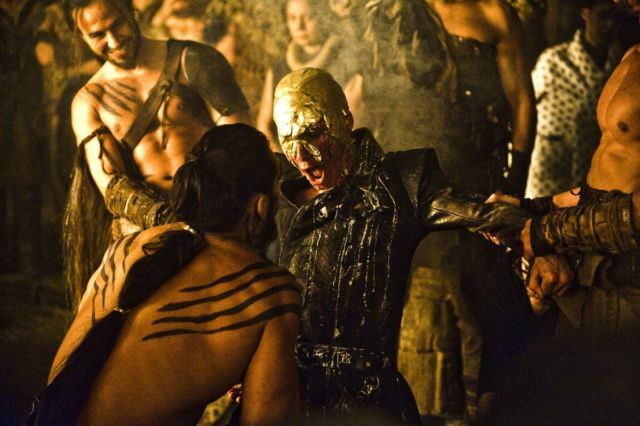 Viserys gets his golden crown, and it’s actually a most merciful death. Given the high body count onGame of Thrones, Thompson naturally had to include a chapter on the science of the many different ways to die on the show. For instance, Ned Stark may have experienced a most unjust death at the order of King Joffrey way back in season 1, but beheading is actually one of the more merciful deaths. That said, Ned may well have remained conscious for a good ten seconds after losing his head, based on a study in the Netherlands. The scientist implanted electrodes in the heads of rats and beheaded them using tiny guillotines, and measured how long brain activity continued to register afterward. Then they extrapolated that to humans to arrive at the ten second estimate. 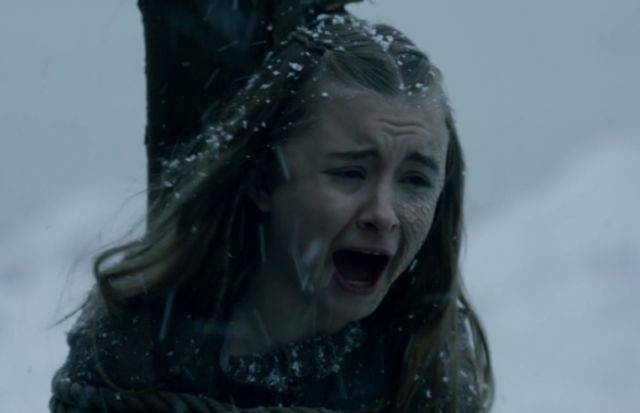 Poor Princess Shireen Baratheon suffered one of the most agonizing deaths. Another means of slow, painful death would be the fictional Manticore poison on the tip of Oberyn’s spear when he bested the Mountain (at least until he started monologuing). It would likely be a combination of two different actual poisons: the necrotizing venom of a brown recluse spider, for instance, paired with the slow-acting venom of a scorpion bite, a neurotoxin that targets the central nervous system, paralyzing and ultimately killing the prey. A fictional beast that produced a venom capable of doing both would make for a very impressive poison indeed. 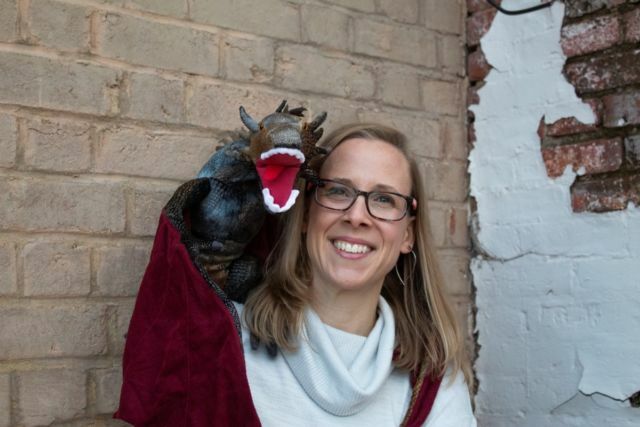 Physicist Rebecca Thompson poses with her own baby dragon. So what is Thompson most looking forward to in the upcoming final season ofGame of Thrones? She hopes that Drogon will level the Red Keep with his dragon fire, because she’s curious how it will be depicted on the show. “Granite is a mixture of several different kinds of rock, different crystals,” she said. “Are they going to have it run like molten lava, or crack and crumble?” The Red Keep might end up looking like Harrenhal. “Personally I think keeping it scientifically correct would be visually stunning,” said Thompson.